I was aware almost immediately that things weren’t going well soon after my wife gave birth, we were still at the hospital. She appeared to be uninterested in the new arrival, there were no signs of joy or happiness. Instead my wife seemed irritable and tired, she didn’t want to eat. This continued when we came home, she was crying, and not at all interested in her appearance, but very concerned about the house work that needed to be done. I was worried that she didn’t want to feed the baby, and that she had started locking herself away in the bathroom. She didn’t want to see friends or family when they called. What was really out of character and upsetting was that my wife was aggressive towards me. As you can imaging I felt lonely and isolated, I was frustrated and scared by her attitude and behaviour. I was feeling unappreciated and overworked trying to hold everything together. I didn’t know anything about postnatal depression other than the ‘baby blues’, but I knew that this was more than feeling down for a few days after the birth. It challenged us as a couple and I wondered how we were going to get through this? We weren’t getting any help or support from the health professionals we came into contact with, other than the ‘baby blues speech’: you’re tired, give it time. Eventually the Doctor diagnosed my wife as having postnatal depression and the mental health crisis team were called in. We started to get the help we needed. 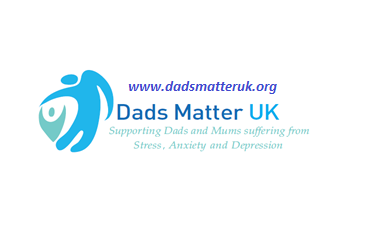 What advice would I give to other mums and dads in the same position as my wife and myself? Speak to a doctor, the Samaritans, a health professional. But don’t let it go on too long! I’d like to see improvements in the future, there needs to be more acknowledgement of post natal depression and the impact it has on the family. There also needs to be more training and information for midwives and health visitors so that they recognise the symptoms sooner. The Joanne (Joe) Bingley Memorial Foundation would like to thank the contributor who has shared his personal experience with us, he has asked to remain anonymous. Women who have suffered and recovered from postnatal depression share their experiences with you. Links and information about the various groups and sources of information to advise and help you. Downloads and access to the literature we provide. Reading material – other people have been on this journey and written about their experiences.